Avid campers know that space and time count and are always looking for ways to be frugal with both. 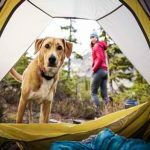 The average camper may have never heard of some of these camping hacks, but you’ll be glad you did when you put them to good use when camping or travelling. 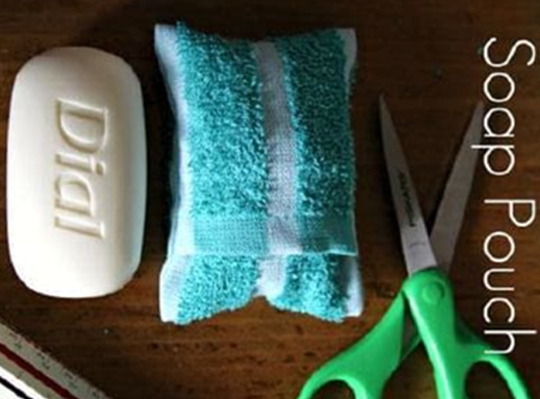 Combine your bath soap and wash rag by creating this sewing pouch. 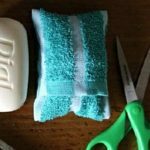 It’s an easy fix to always have your soap and wash rag in the same place and it’s always ready to go. 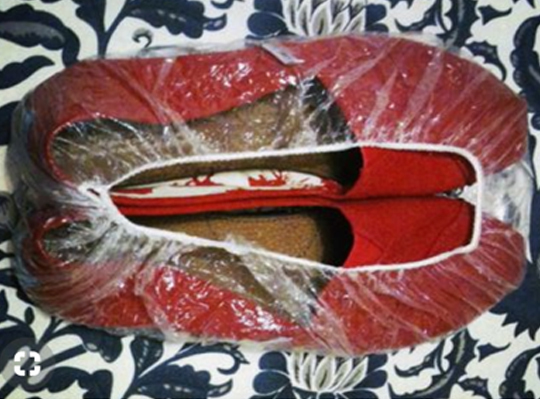 This is a great hacking tip for packing your dirty or muddy shoes so they don’t get your other clothing dirty. Inexpensive (for pennies) plastic shower caps are readily available. Purchase several so everyone will have their own supply of shower caps for packing their shoes. 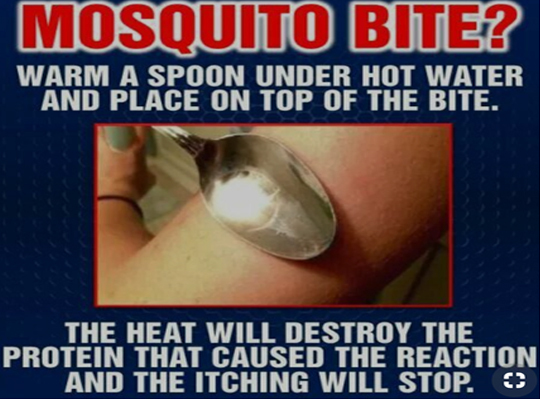 Don’t worry if you forgot the bug bite relief on your next camping trip. This camping hack can take away the irritating itch and help you get back into the fun and games that are part of the camping experience. 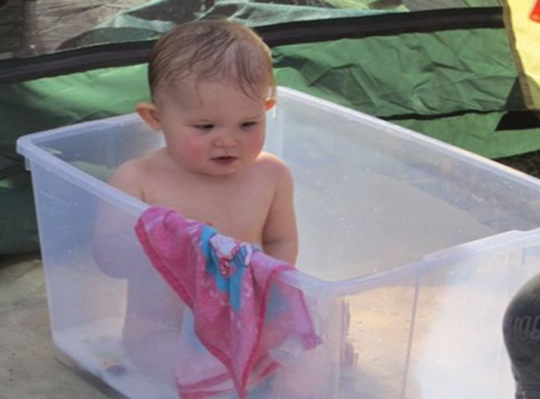 Use one of those great plastic containers that you brought on the camping excursion to keep your toddler occupied – and safe. S/he will love playing in his or her own space and still be part of the fun. You can also fill with water (be sure it’s warm/cool enough and let your baby splash and have fun. Stuck someplace where toilets for campers aren’t available? 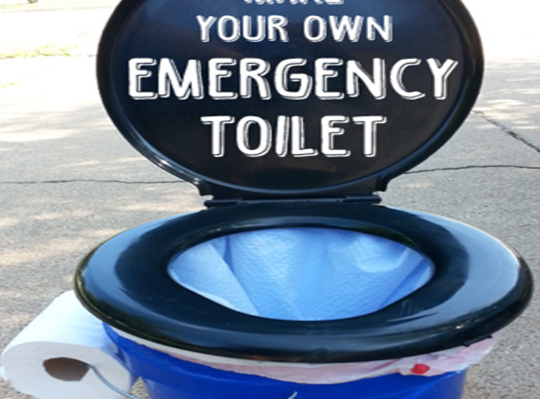 Rather than having to dig a hole every time you go, why not use this clever idea for a makeshift toilet. Purchase the toilet seat and rim and then all you need is a large bucket, a plastic garbage bag – and toilet paper, of course. The secret is this plastic-hinged pencil box that will fit the “roasting” portion of the forks and a little ingenuity. 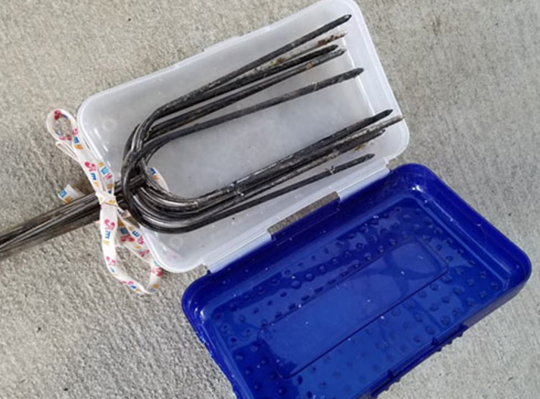 This is a simple camping hack that can keep your other utensils and camping gear clean without too much hassle. 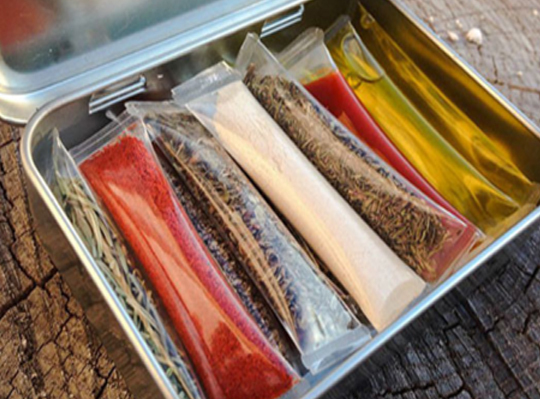 These little plastic, zip up containers are perfect for storing the right amounts of herbs, spices and oils for campfire cooking.No measuring spoons needed – simply fill the individual containers with the amounts you need and you’re good to go. 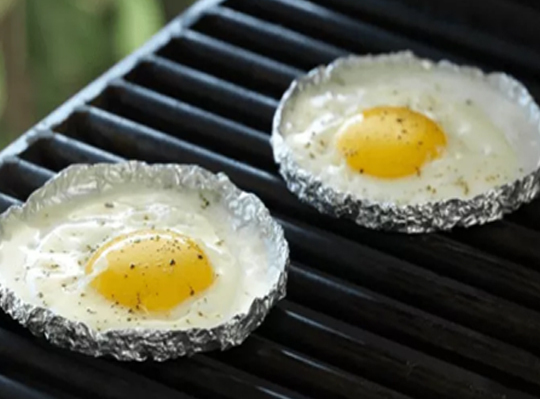 No muss – no fuss with these self-made, aluminum foil egg grillers. Simply shape the foil into a round container for the egg, break the egg into the container and cook until just as you like it. Then, throw away. No messy frying pans. No more soaking wet toilet paper from rain or dropping in the mud. 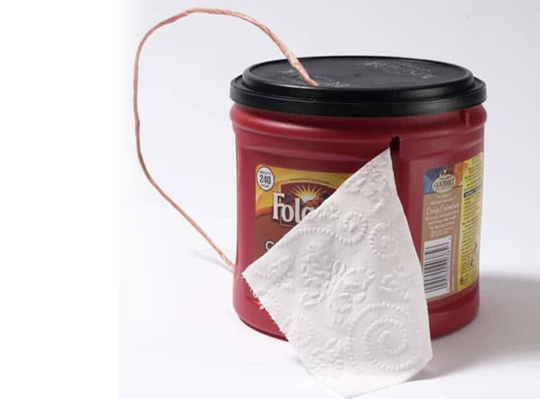 Campers will appreciate this inventive toilet paper holder that you can carry with you wherever you go. Simply cut a slit in a plastic, empty coffee container and attach a piece of twine so you can carry it easily. Plunk the toilet paper into the container and pull out a piece to create a roll. 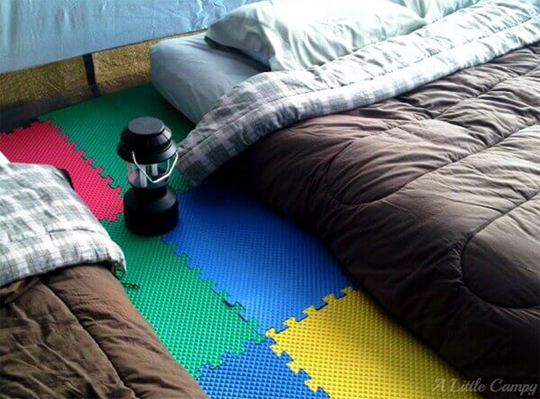 Those big foam puzzle pieces you thought were just for kids can also be used on the floor of your tent when camping. They make it much more comfy for walking around or even for sleeping. They say that necessity is the mother of invention – and some camping hacks are invented because someone thought there had to be a better and more convenient way to get by without all the necessities at home. 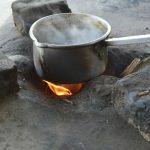 From a great way to fry eggs on the grill without messing up a frying pan to a disposable toilet when there are no facilities in your camping area, these hacks are both fun and will make your life much easier when you leave the luxuries of your home and must “survive” in the wild. It’s fun to find ways to make your camping experience better. These ten hacks will help you think of others that you can make or improvise and use the next time you go camping.